On Sale Now! 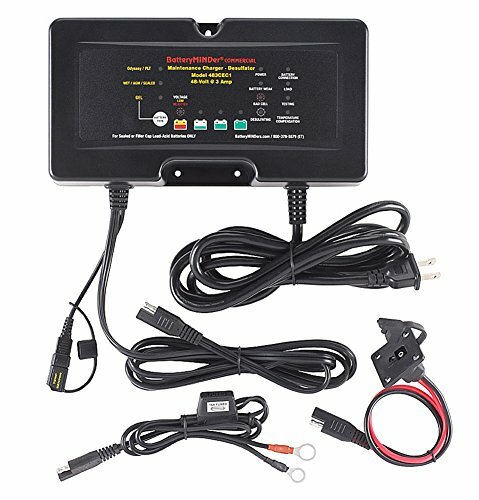 Save 5% on the BatteryMINDer Model 483CEC1 48V 3 AMP Charger/Maintainer/Desulfator by BatteryMINDer at Lazaranda Dallas. MPN: 483CEC1. Hurry! Limited time offer. Offer valid only while supplies last. Intrusion Protected from water & dust (Certified to International Standard IEC IP65). Short circuit, spark, polarity and thermal run-away protected. If you have any questions about this product by BatteryMINDer, contact us by completing and submitting the form below. If you are looking for a specif part number, please include it with your message.